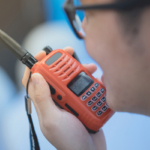 VHF (Very High Frequency) and UHF (Ultra High Frequency) come with distinct pros and cons, understanding these differences will help you identify the best signal frequency for your two-way radio needs. For instance, UHF does not travel as far as VHF but may grant higher bandwidth occupation. All wireless communication systems, including cell phones and two-way radios, operate on what is known as operating frequency. The government regulates these frequencies and the equipment used to communicate through them. Since people need all different types of radio signals a variety of wireless equipment is necessary to satisfy all needs. In the United States, the Federal Communication Commission (FCC) regulates the radio frequency bands. According to US frequency groups there are four different categories: low-band VHF (49-108 MHz), high-band VHF (169-216 MHz), low-band UHF (450-806 MHz), and high-band UHF (900-952 MHz). The FCC is in control of who operates within each specific band and if anyone has priority over other operators. The primary users are properly licensed radio and television broadcasters as well as commercial communication services such as cell phones and two-way radios. VHF and UHF each include their own unique benefits and drawbacks. 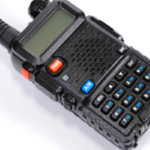 Very high frequency is commonly used for FM radio broadcast, two-way land mobile radio systems, long-range data communication, and marine communications, just to name a few. VHF includes radio waves from 30 MHz to 300 MHz. VHF waves must not exceed the local radio horizon of 100 miles. VHF frequencies are less likely to be interrupted by atmospheric noise, issues with electrical equipment, and other interferences. There are different bands within VHF frequency, including low-band and high-band. Low-band VHF range of 49 MHz includes transmission of wireless microphones, cordless phones, radio controlled toys and more. Slightly higher VHF range of 54-72 MHz operates television channels 2-4, as well as wireless systems defined as “assistive listening.” VHF frequencies 76-88 MHz operate channels 5 and 6. The highest low band VHF is 88-108 MHz and operates the commercial FM radiobroadcast band. With so many different users the low-band VHF is not recommended for use of serious applications due to the levels of radio “noise” present at these frequencies. Despite the potential background noise this a popular option because of the low cost equipment. Transmission power is limited to under 50 mW, unless you are operating an assistive listening system in the 72-76 MHz range. Also, a large antenna booster is necessary, measuring as much as 3 feet in length, thus limiting portability. High-band VHF range is popular for professional applications. The lowest high-band (169- 172 MHz) includes 8 different frequencies designated by the FCC, and is often used by the general public and wireless microphone devices. These frequencies are known as “traveling frequencies” because they can be used all around the US without fear of interference from broadcast television. Power is limited to 50 mW, although antenna size is smaller (around 20 inches per ¼ wavelength type). Businesses, government operations and the Coast Guard operate on this “traveling” band. For best results you typically only want to operate two to three units on this frequency. The high-band VHF between 174 and 216 MHz is used for VHF television channels 7-13. High quality audio is possible as well as smaller antenna size, down to 14 inches or less. The same 50 mW power restrictions apply. UHF radio waves are much shorter in length than VHF, measuring around 12 to 24 inches. As a result antenna length is reduced as well as radio range. Anything from a building to a human body can interfere with UHF transmissions. Dropouts and interferences are far more likely, but greater bandwidth occupation is permitted. 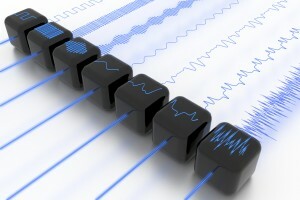 As a result you may find a wider frequency range as well as wider range of audio signal. Up to 250 mW is allowed, exceeding the 50 mW power restrictions applied to VHF. Low-band UHF overlaps with high-band UHF, low is 450-536 MHz and high is 470-806 MHz. Typically, business services and UHF television channels 14 through 69 operate using these frequencies. High-band UHF (anything above 900 MHz) offers the least amount of disturbances and requires antennas measuring between 3 and 4 inches. These channels operate studio-to-transmitter links as well as other primary users and additional channels. UHF radio waves generally only go as far as line of sight. Anything in the way of your sight will also interfere with frequency range, such as buildings, tall trees or any other obstruction. The transmission is high enough to penetrate through building walls, making indoor reception a possibility. It is the limited line-of-sight broadcast range that makes UHF unsuitable in some instances. VHF offers a much larger broadcast range, which is preferred in some industries. UHF radio signals are used in many facets of life including satellite communication, GPS, Wi-Fi, Bluetooth, walkie-talkies, cordless phones, cell phones, and television broadcasting. A large advantage of UHF transmission is the short wavelengths produced by the high frequency. The size of the radio wave relates directly to the length of transmission as well as the reception antennas. In general, UHF antennas are short and wide. The cost of operating UHF equipment outweighs the operation of VHF equipment. This is because it is more work to create UHF compatible devices based on the ways high frequency and short wavelength radio signals interact together. The difference in cost largely relates to the need for antennas, cables and other additional equipment. 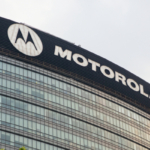 Need help identifying the best radio frequency for your needs? 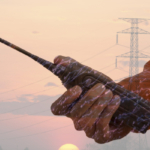 Contact Highland Wireless today and speak with leading experts regarding two-way radio technology.